This will email the manager and allow them to submit their review. 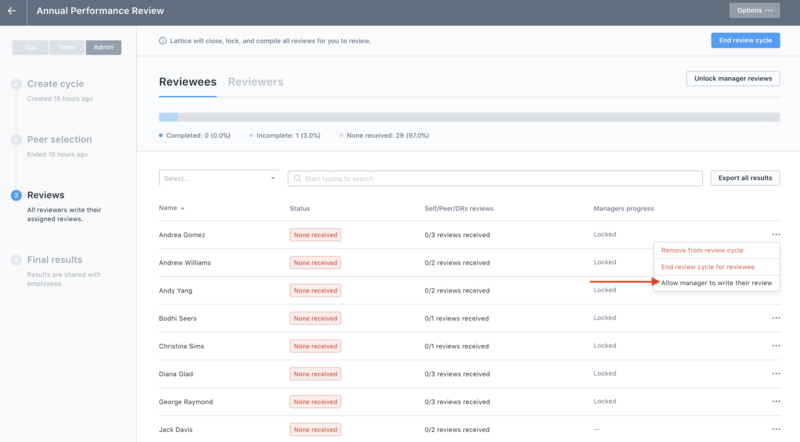 Additionally, if you have a group of managers who need to submit their reviews, you can click on "Unlock manager reviews". Note: this does not lock out the other reviewers that have not submitted their reviews yet. 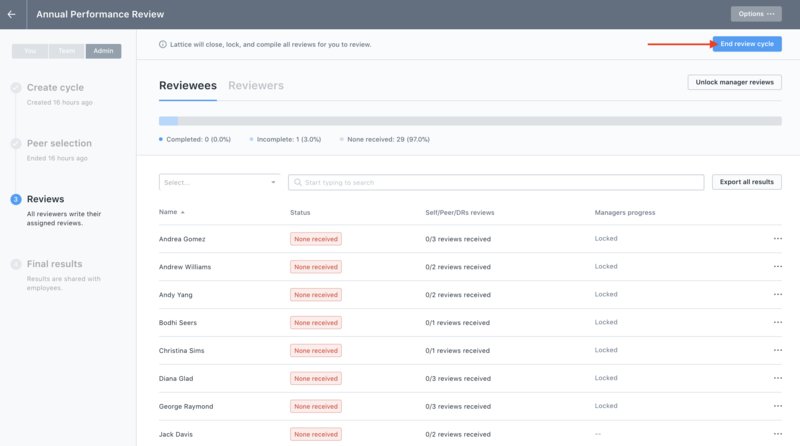 This just gives managers the ability to submit their reviews right away.